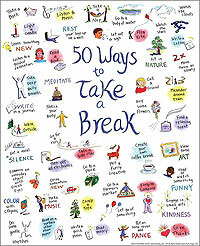 Take a visual stroll through a brainstorm of ways to take a break. 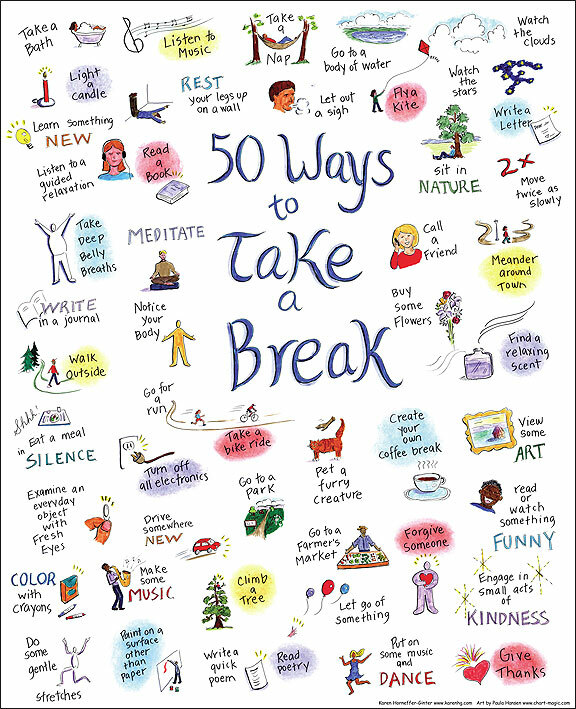 May these examples remind you of the simple ways in which we can find enjoyment — the sorts of activities that often don’t make it onto our to-do lists, but are worthy of our time. Click and print out this reminder. Click here to purchase a 12"x15" printed version.